The family of a 38-year-old motorcyclist who died following a collision between his motorcycle and a car at St Cyrus say he will be “sadly missed”. Eion Gordon Malcolm MacDonald, who lived in the St Cyrus area, was pronounced dead at the scene by emergency services after his Triumph motorcycle was involved in a collision with a Seat Alhambra car on the A92 on Sunday (June 28). Tragically, his partner, Lynsey Cargill (35), died in a motorcycle accident last year. Ms Cargill, from Johnshaven, died in February last year after her motorbike was involved in a crash with a car near Dundee. A family statement said: “It is with great sadness that this has happened to our family unit, something that would be tragic for any family to bear. “Eion was a valued family member who will be sadly missed by all. “He loved life and his children, we will never forget him. “This is all the more tragic for us as Eion’s partner was killed in a motorcycle accident in February 2014. “We ask that we are given peace to grieve together as a family in this difficult time. 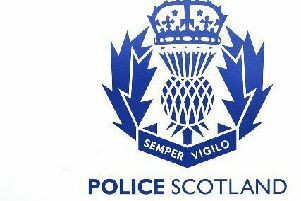 Police officers from Aberdeenshire attended the scene of the accident on the A92, about one mile north of St Cyrus at the Tangleha turn off next to the caravan park, at around 7pm on Sunday. The 57-year-old male driver of the car was taken to Ninewells Hospital, Dundee, with non-life-threatening injuries. The road closed northbound at St Cyrus and southbound at the B9120 until around 1am on Monday (June 29) to allow Road Policing Officers conduct their investigation into the cause of the collision. A report regarding Mr MacDonald’s death will be submitted to the Procurator Fiscal. Police are asking for anyone who witnessed the crash to contact them on 101.